James Kenon Mitchell was born in Rochester, NY and holds a Bachelors Degree in Music Theory from the Eastman School of Music and a Master of Music in Collaborative Piano and Opera Coaching from Westminster Choir College. Mr. Mitchell has worked as a pianist for the Bayerische Theater Akademie August Everding and Tulsa Opera and has accompanied masterclasses for Susan Ashbaker, Deborah Birnbaum, Dalton Baldwin, Joan Dornemann, William Hobbs, Chuck Hudson, Martin Katz, Kathleen Kelly, Kathryn LaBouff, Ken Noda, Matthew Polenzani, Pierre Vallet, Roger Vignoles and Darren K. Woods. Before pursuing his Masters in Music, Mr. Mitchell was an Adjunct Professor of Musical Theater at the University of West Florida. He has spent three summers at the CoOPERAtive Program first participating as a Pianist Fellow (2012/13) and most recently on faculty as Pianist Intern and Young Artist Dramatic Coach (2014). He served as Assistant Conductor for the CoOPERAtive Program's 2013 production of Don Giovanni and as Assistant Stage Director for the 2014 production of La Fille du Regiment. Mr. Mitchell was Assisant to the Music Staff at Sarasota Opera for the winter season of 2015. 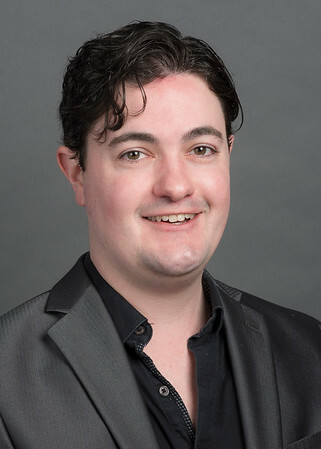 Mr. Mitchell has directed Faust for Opera Modo (2013) Madama Butterfly for Opera Forza (2014) and La Voix Humaine at Tri-Cities Opera in Bingamton, NY (2015). He will return to Tri-Cities in November 2015 to direct Tchaikovsky's Iolanta in a production that will open the company's newly renovated Opera Center. 2016 will see the premiere of his first opera libretto, Private Exhibition, with music by John Frederick Hudson. The premiere will take place in April, 2016 at King's College in Aberdeen, Scotland.